Yesterday LCC hosted one of its free monthly student events, TV FUN TIME. 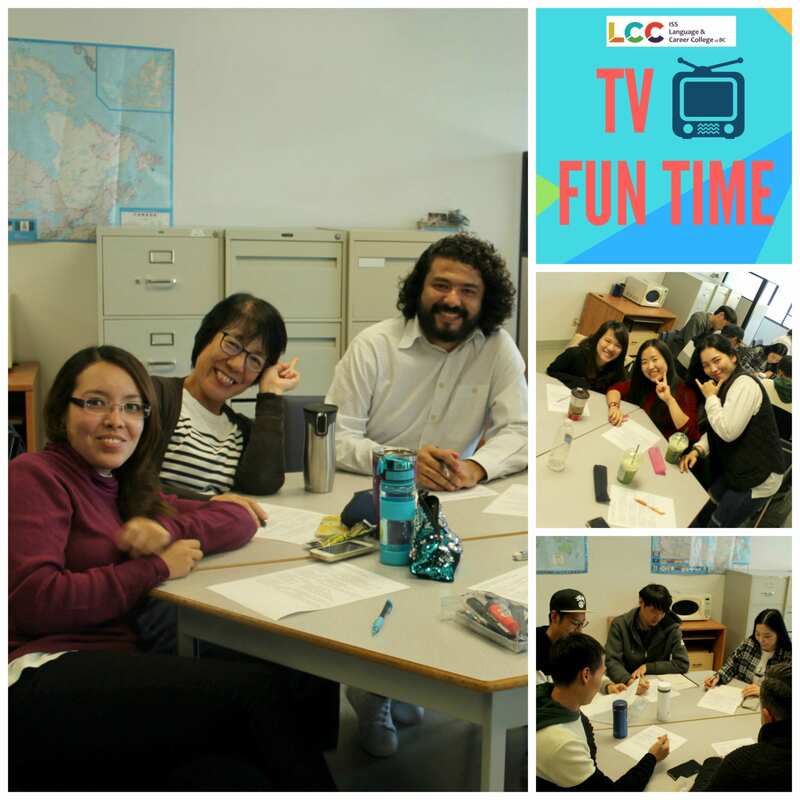 Vancouver ESL students studying various programs at LCC were able to learn about Canadian pop culture, improve their speaking and listening skills and meet students from other classes. Thank you to those who participated in this event – it was a lot of fun! We would also like to give a special thanks to our exceptional teachers, Sam and Roxanne for hosting the event. LCC hosts various free student activities and events throughout the year including conversation clubs and special holiday celebrations. For more information please contact our registration team in room 601.